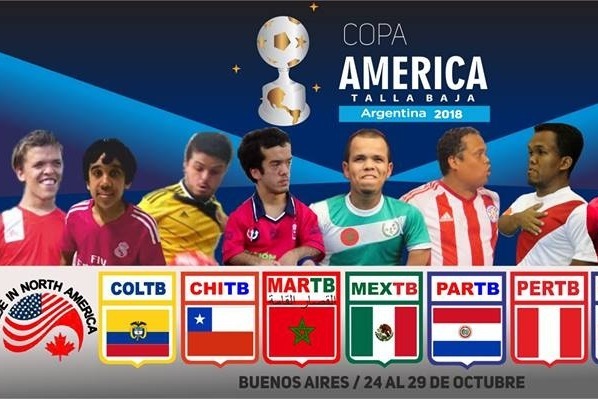 Team North America is competing in the first ever Dwarf World Cup or “Copa America”. The team will be competing in Argentina from Oct. 23-29. This tournament will be the largest ever dwarf soccer tournament. The team is made up of 11 of the most talented dwarf Soccer players from the United States and Canada. While this is an amazing opportunity for the athletes, the players are also covering the cost to participate in the tournament. We’ve set up a GoFundMe to help cover the cost of flights and other expenses. Every donation will help and support the team in our quest to become champions and showcase our talents to the world in South America.